Binary Options are high/low choices made on the price of an asset in one direction or the other. In other words you have the option to choose whether an asset, for example the euro in relation to the dollar (EUR/USD), will be higher (up) or lower (down) than its current price, at a certain expiry time in the future. Traders then invest a fixed amount on the outcome they believe, and are shown how much money they invest and how much it returns, before you place the trade. At DC Signals we specialize in providing key information on the position and price of currency pairs on the Forex market, helping you take the guess work out of your trades, and maximizing your profits. DC Signals are making it easy for anyone with a computer or a phone, to make money online – with no trading experience required. We send you key information on the direction and price of Forex currency pairs, helping you take the guess work out of your trades. 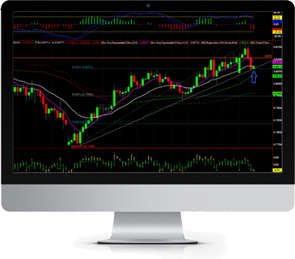 Our experts analyse the forex market so you don’t have to, and unlike other services, we never send out automated signals, they are all generated by our trained analysts. Our friendly advisors will take you through every step from setting up your account, placing your first trade, to withdrawing your profits! Easy to use – All you need is our mobile app and a trading platform! Great success rate – We average 76% success, and have been in profit every month since we started trading. Business hours – We trade 10AM – 6PM and send out between 3-10 signals per day, Monday – Friday. Customer service – Our advisors are always here to answer any questions you may have. If that’s not enough here’s what our customers say. If you would like more in-depth results, please visit us on Facebook, or alternatively speak to an advisor. This signal means that we expect the GBP/JPY to be lower than 146.090, at 10:50. Traders then place their trades taking the signal into account. All you need to do is register and credit your account with DC Signals’ partner trading platform, check out the Start Trading page to get started with your 30 day trial. How much are your signals? Our signals are just £70 per month - we accept multiple payment methods. I already have a broker, can I still receive a free trial? Our partner broker sponsors new clients for their first 30 days of signals making them free for you! Unfortunately, this means that without using them, we are unable to provide a free trial. You are more than welcome to use your own broker and our signals are just £70 per month!